oh yes. If I would use it in a custom set, there would be lots of discard from hand for benefit and/or self mill. 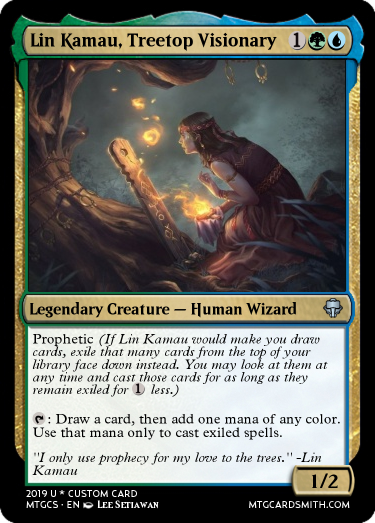 What do you think of my new mechanic? the current name is dream, but I will probably change it. Do you have any suggestions to improve it? does anyone have a good name for it? Feel free to use my keyword ability--please give credit. 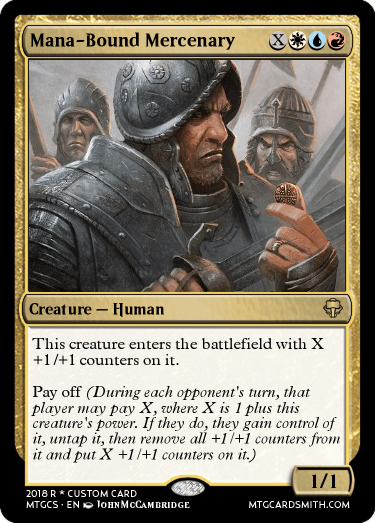 "Muster - ..., if you control another creature that shares a creature type with [cardname],..."
"Muster - ..., if it shares a creature type with [cardname],..."
'Resonate' (action activated ability)/'Resonant' (permanent static ability) - that's the mechanic name. Incite (When it enters the battlefield, reveal the top card of your library. If it's a creature card and it shares a creature type with this card, it gains +1/+1 and Haste until the end of turn. If it isn't, you may put it at the bottom of your library). Awaken X, at the beginning of your turn put X +1/+1 counters on this creature. Almost always paired with an effect that removes awaken and give it some other buff. 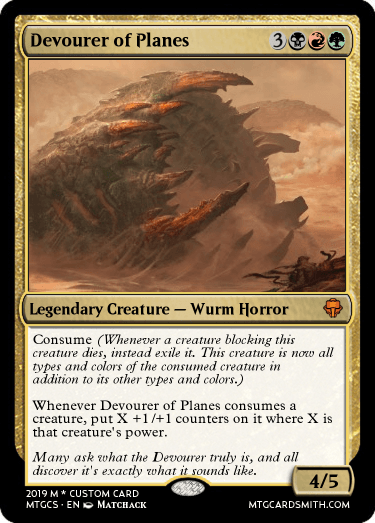 Used for Eldrazi so far. 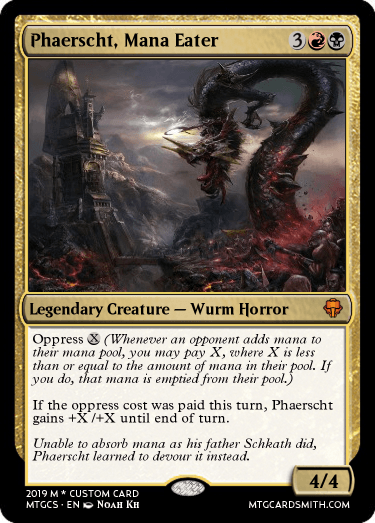 mentor zombies(When this creature attacks, put a +1/+1 counter on target attacking zombie with lesser power) replace zombies with any other creature type, colour etc. (Anything you can have protection from). Lifetouch: Whenever this creature deals combat damage, regenerate target creature with that much damage or less done to it. 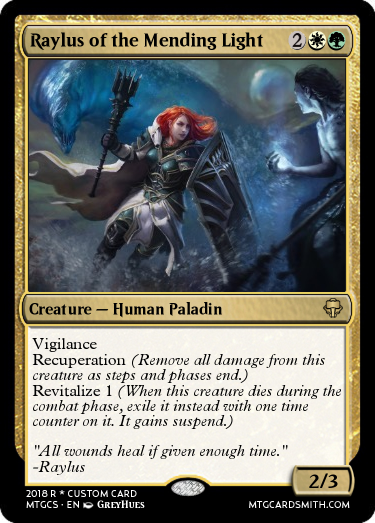 Really the wording is pretty much ok, the problem comes with the regenerate mechanic. 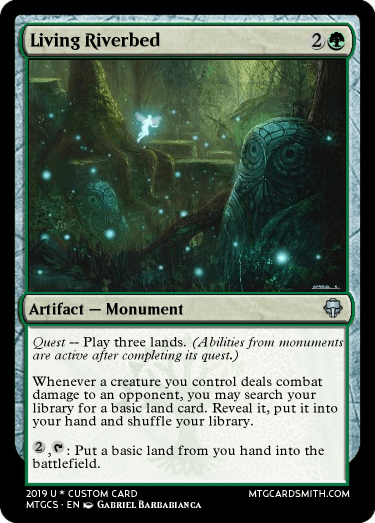 Pretty much it became obsolete after Kaladesh. 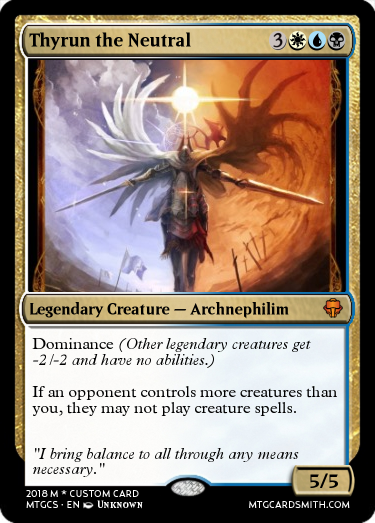 (https://mtg.gamepedia.com/Regenerate) If you want something cool with it keep it like that or play with indestructible or return from the "graveyard to the battlefield" or "prevent damage". Good luck! Some of them are kinda old so I didn't word them very well and I don't think I worded Oppress correctly but basically the amount of mana you spent to activate Oppress is how much the opponent loses. 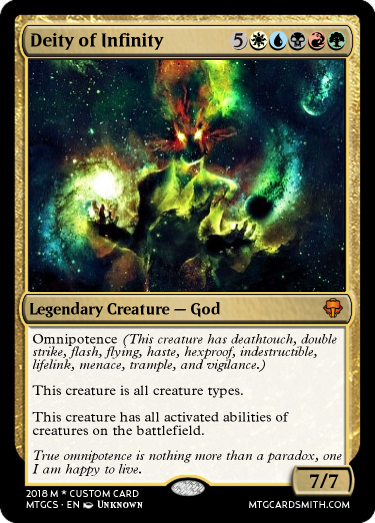 Also, Omnipotence on Deity of Infinity was supposed to be completely broken and a joke. I never planned, and still don't, to put it on anything else. Tame - (Cost). ((Cost): Gain control of this creature.